The AudioMX Dual Dynamic Driver In-ear Headphones offer you an exquisite sound quality, which is precise, natural, and well-balanced. They provide the most effective solutions for streaming music and answering phone calls while running, exercising, traveling, or on-the-go. Besides, the snug fit and detachable ear hooks add comfort when wearing. These AudioMX earphones feature advanced dual dynamic drivers (10 mm and 6 mm in diameter) that deliver true-to-life sound with extremely clear sound with powerful bass and dynamic treble. These earbuds bring high quality music straight to your ears and guarantee a superior audio capability for an immersive listening experience. You're guaranteed to have hours of superior audio enjoyment anytime and anywhere. These headphones boast superior comfort and durability. The attractive and extremely lightweight design provides a snug and comfortable fit. Ultra-soft ear buds (4 pairs, XS, S, M, L included) ensure maximum comfort for long-term use. 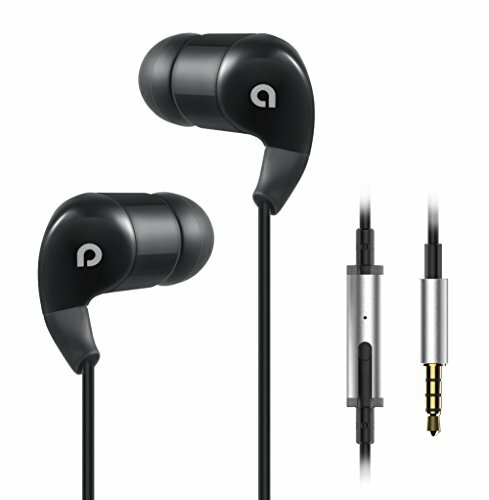 The earbuds are made of premium silicone, which adds durability and protection. If you have any questions about this product by AudioMX, contact us by completing and submitting the form below. If you are looking for a specif part number, please include it with your message.